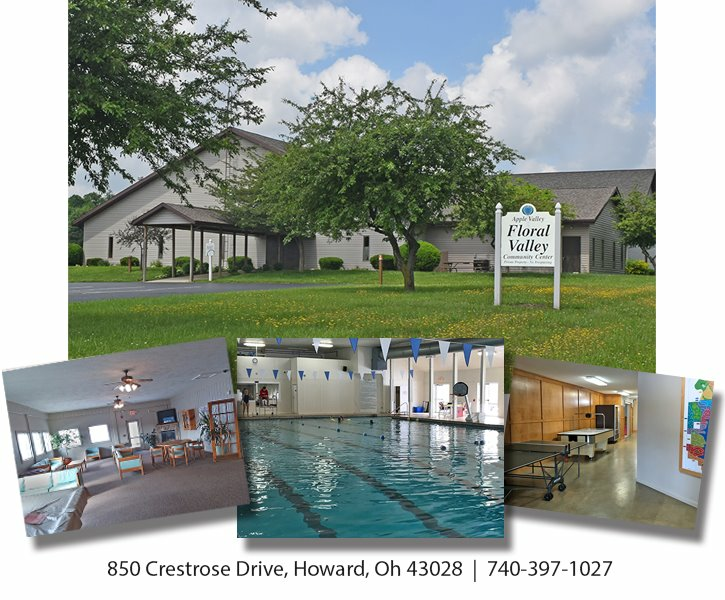 Floral Valley Community Center houses the indoor pool with men's and women's locker rooms, a lobby area with TV and fireplace, kitchen, a large banquet area, and a smaller meeting room. The main entrance is located on the side of the building in the upper parking lot. Pay your assessments (Check or cash only). Swim, lounge, play Ping-Pong, Billiards, or Air Hockey. Rent small pool room for pool parties (property owners only). 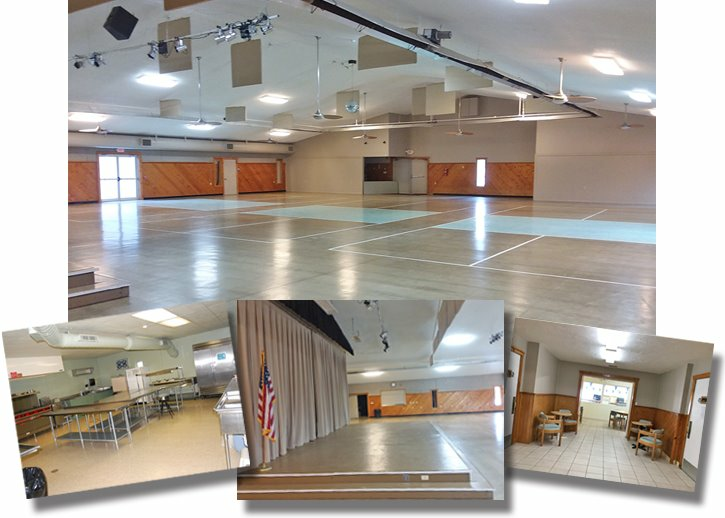 The large banquet area, and the small meeting room are available for rent to both property owners and to the public for profit or non-profit purposes. Click here for more information. The 25 meter heated pool is 3,699 sq. ft. with a 167,400 gallon capacity and depths ranging from 4'-9' for lap swimming or open swim. Table and chairs are available for lounging by the pool. Floating devices and toys are permitted. (See indoor pool rules). A property owner may bring 6 guest per family unit. There is a per guest fee of $2.00. 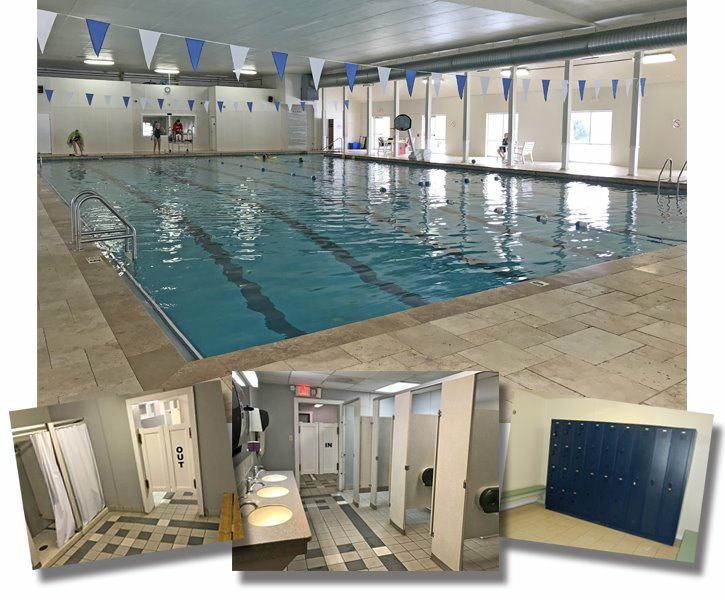 Water aerobics are available during designated times with a fitness membership. Property owners in good standing may rent the pool party room for pool parties and birthdays. This can be done by calling 740-397-1027 after 2:00 pm to speak with an attendant to check availability and fill out the appropriate paperwork. (Check or cash only). 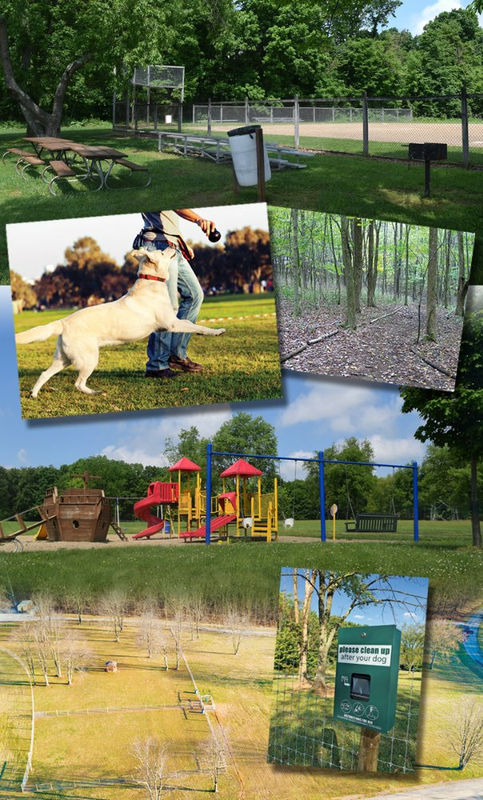 A ball field, dog park, hiking trail, and a playground are for property owners enjoyment. Please note: Your dog must be tethered at all times. The only exception is once you are inside the dog park.